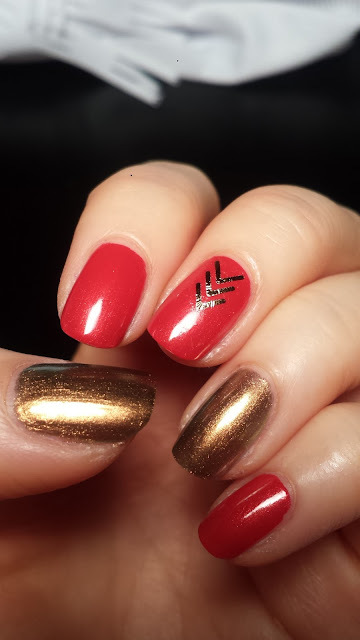 This was my first time trying these metallic nail tattoo and I have to say they are super fun and easy to use! 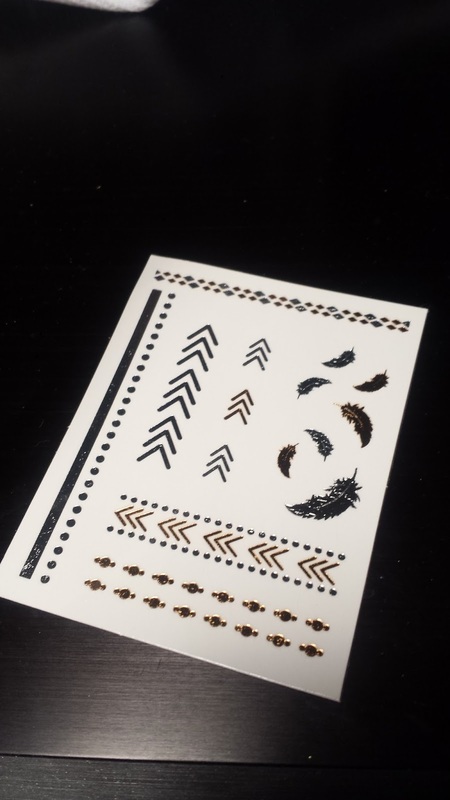 I got this tattoo sheet from one of my Julep boxes and it has silver and gold patterns. 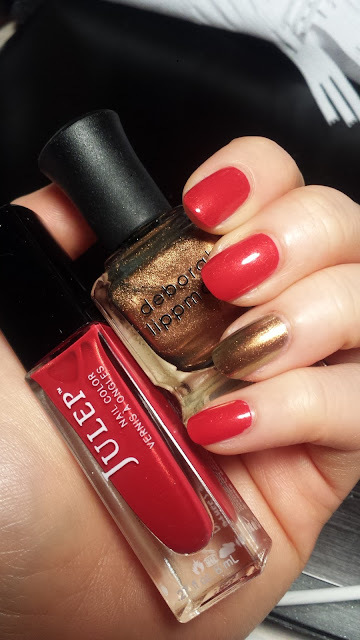 Click HERE to join Julep! For the base colors, I used a red and a gold on the accent nail. 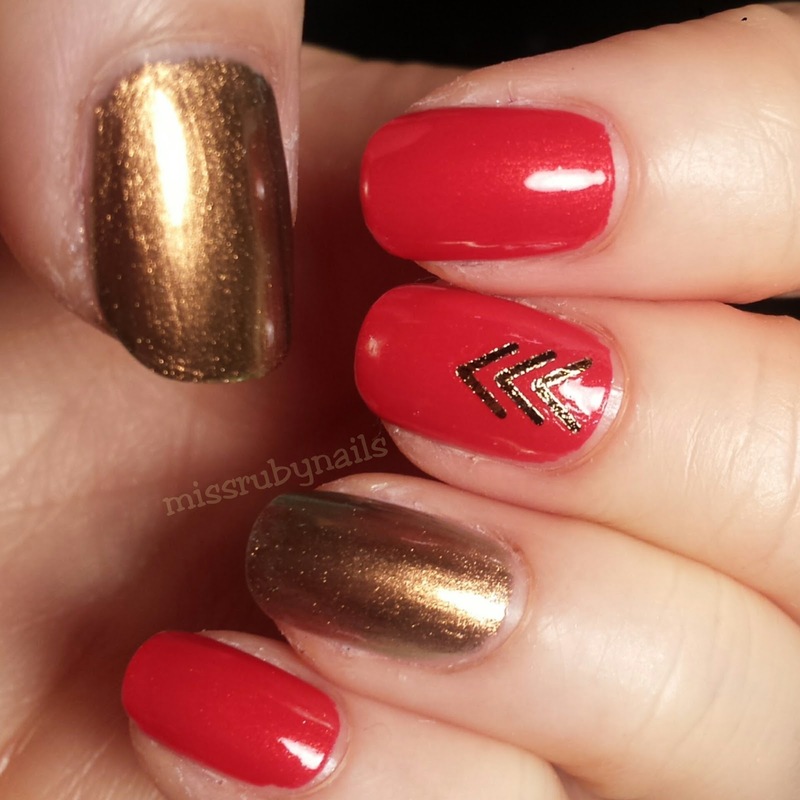 Then I cut out the chevron pattern tattoo in gold and put it on the middle finger. 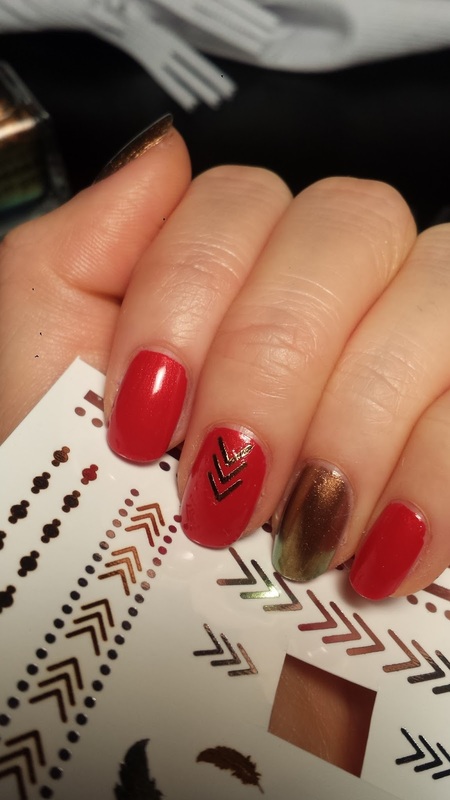 I just dabbed some tab water on the tattoo sheet and let it soak for a little. The white paper then just came off and we have the gold chevron on the nail! 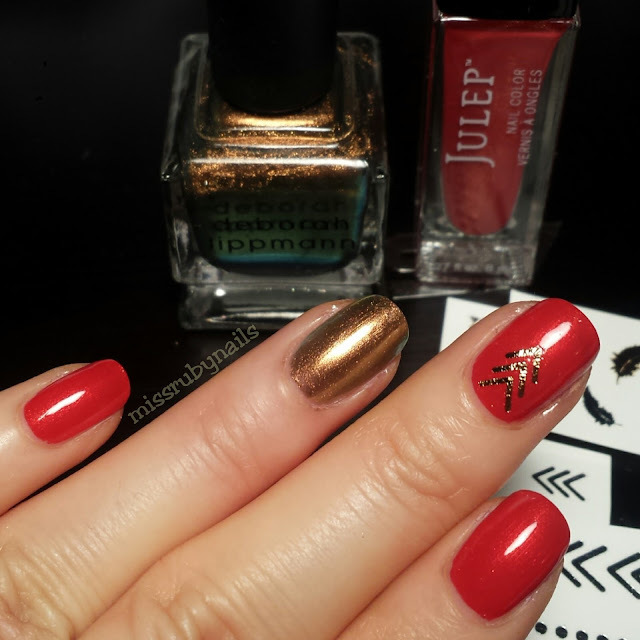 It was super easy to do and I will definitely use more of these for nailart!